John comes to LINK with a diverse business management and consulting background having owned, developed and managed three businesses over a 30-year business career. Initially working as an Agricultural Consultant, he then developed a red meat marketing business followed by a significant environmental management business. After selling the environmental business and realising the pitfalls and problems that business owners experience in Exiting their business he entered the business Exit Planning field. This work was primarily aimed at managing a business owner’s exit, while building the value of their business before they sell. The logical extension of this was becoming a Business Broker, presenting the opportunity to work with LINK. Having qualifications in Agriculture, Business Management and recognised as a Certified Exit Planning Advisor as well as a MAUS accredited business consultant, he brings a wealth of practical experience and business knowledge to his role as a Business Broker. Attracted to LINK by the capability, resources and credibility that the organisation has, he feels LINK is the perfect vehicle for him to use his experience to ensure his clients achieve the highest value possible when they sell. He also understands the importance of presenting business value in a way that buyers can be confident that the business they purchase will provide the opportunities to build their future. He sees the aspect of educating buyers to understand the process of buying businesses as an integral part of transacting business sales. 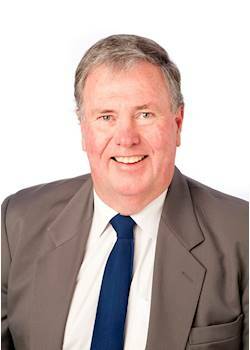 With a passion for Agriculture and the development of businesses in Rural and Regional areas, John aims is to bring the high level of professionalism that LINK affords to business clients outside of the metropolitan areas, reducing the trepidation that occurs when selling (or buying) a business.